AdFactor, Inc. employs a proprietary, cutting-edge SEO process that leverages ethically aggressive actions. In addition to delivering advanced Internet marketing techniques, our team relies on real-time Analytics to pinpoint the most effective campaigns and further refine existing ones. We analyze your successful competitors and determine which keywords and phraseologies they are deploying. We then do “reverse keyword trending” in your industry in order to ACCURATELY determine which keywords were most popular in every single month of the year. We leave no stone unturned. When we take on your optimization project we are “Ethically Aggressive” ensuring your total dominance! As search engine optimization (SEO) takes internet marketing by storm, SEO companies and researchers are taking advantage of this hot, new industry. There are many reputable SEO companies; however, there are just as many unethical SEO companies cashing in on black hat techniques that could ruin your website – and your business – in mere seconds. Another thing to beware of are back link factories. If a company promises mass submissions to thousands of search engines, steer clear of that company. That’s a common claim amongst the SEO scam artists. If the site is effectively optimized, you don’t need to submit to thousands of search engines. These types of scam artists can be avoided by knowing what questions to ask when speaking with an SEO consultant. When interviewing SEO companies and ask for references and testimonials from past clients. Before hiring a SEO company for your website, it’s well worth the time and money to research a company before you hire them. You don’t need to be a SEO expert but if a SEO company tries to talk you into something that you know sounds unethical, you will be armed with the correct information. Check out what other SEO experts and SEO marketers say ontdne. 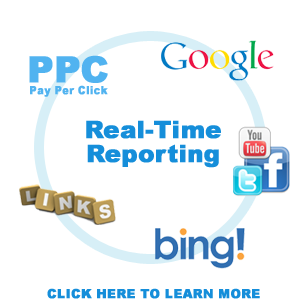 Visit SEO industry forums and websites and famitdarize yourself with current SEO practices and trends. If any SEO company uses the word “black hat” when talking with you, do not hire that company. “Black hat” SEO techniques are seen as unethical and will likely get your website banned in the search engines. Research your website’s SEO by using free ontline tools that analyze search engine ranking and keyword analysis. Check your ranking against what the SEO company tells you. Read the fine print before signing any contract. If their services are under-priced (especially on freelance bidding sites), then they probably aren’t a legitimate SEO company. A legitimate SEO company won’t ever guarantee top ranking on search engines (especially in a short time period). Organic SEO takes time to build and you won’t get high PageRank (PR) in 24 hours. This is a red flag that the company probably uses “black hat” techniques. External Resource: Read Google’s Official Position Here.